Telegram has finally​ decided​ to add one new feature that a lot of its users have been requesting for. Telegram which is one of the most popular social messaging platform has joined the likes of messenger, WhatsApp and many others by adding the voice call feature to it's app. One cool thing about the new telegram voice call is that it is end to end encrypted. What this means is that a third party can't​ intercept your call as it is secured between you and the recipient. The traditional encryption key has also been replaced by four sets of emoji. 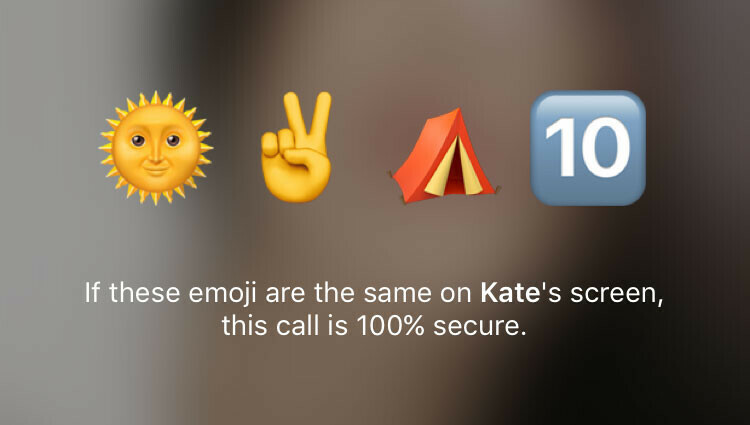 The four Emojis acts as a form of encryption key so to make sure you are fully secured, you need to compare the four emoji on your calling screen with the four emojis on the recipient's caller screen. Unlike most other messaging apps, Telegram also gives you the option to disable voice call. You can choose to disable the telegram voice call for some people or you can just turn it off completely. This is one feature which WhatsApp voice call doesn't​ offer. To turn off the voice call, just go to the privacy settings for voice calls in the telegram app and set it the way you want. You can allow voice calls from everybody, only your contacts, or nobody (i.e., everybody is blocked from calling you). You can also set Telegram to never or always allow voice calls from specific users. Note that this new feature is currently available to those in Europe only, but it is expected to roll out to everyone other region soon.